We will fight to clean up your criminal record quickly, competently, and inexpensively as possible. Depending on the facts of your arrest and disposition, we may able to expunge or seal your records. Wouldn’t it be a relief to keep such a personal matter private and to protect your future? Bryant Clark Law, PLLC, in Lexington, Mississippi, represents clients throughout the Delta, including the cities of Greenville, Meridian, Vicksburg, Hattiesburg, Columbus, Starkville, Gulfport, Clinton, Pearl, Brandon, Ridgeland, Madison, Canton, Byram, Richland, Yazoo City, Kosciusko, Natchez, Laurel, Brookhaven, Forest, Greenwood, Indianola, Grenada, Philadelphia, McComb and other communities in Hinds County, Rankin County, Madison County, Washington County, Yazoo County, Attala County, Holmes County, Leflore County, Simpson County, Noxubee County, Oktibbeha County, Lowndes County, Forrest County, Scott County and Lauderdale County. Get the best possible settlement for your case. Get your attendant care, household service, and other insurance benefits. Mississippi law sets out a procedure for an individual to expunge a record of conviction for a felony or misdemeanor. Under the Mississippi Expungement Law, an individual may have the right to expunge all court records, all records in the possession of any state or local police department, the bureau of criminal identification and the probation department, including, but not limited to, any fingerprints, photographs, physical measurements, or other records of identification. Contact us today to schedule a free, confidential consultation to discuss expungement of your felony or misdemeanor criminal record. Call us at 866-834-6133. 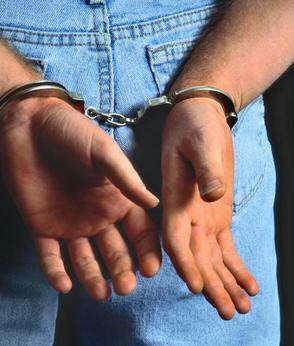 We will make every effort to expunge your record of arrest or criminal conviction. What crimes are eligible for Expungement in Mississippi? Any person who has been convicted of a misdemeanor, excluding a conviction for a traffic violation, and who is a first offender, may petition the justice, county, circuit or municipal court in which the conviction was had for an or to expunge such conviction from all public records. You are not eligible for expungement until five (5) years after you have completed all of the terms and conditions of the sentence (incarceration, fines, probation, etc. ), and you are only allowed to do this once.